For kid-friendly family hotels – Munich , see the list below. Included are hotels that can accommodate a family of 5 or 6 in one “family room”. Most of the hotels are in Munich’s city center. One is near the Theresienwiese Oktoberfest grounds, and one is near the Memmingen Airport, which is 1.5 hours from Munich by bus. Large hotel rooms, a suite, and connecting door options are included. All have private bathrooms (ensuite) unless otherwise mentioned. The list includes a variety of room configurations, with Double and/or Single beds, and some hotels offer a Sofa bed or an extra roll-away bed or crib to best provide accommodation for families. The room price or rate range of each hotel is indicated with the $ symbol. See the $-symbol key in the sidebar. 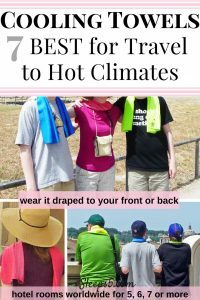 Check out the hotels with $$ or $$$ for a moderate price, or a hotel with $$$$ for a little more luxury. Click on the hotel name for more details, such as address, phone number, email address, and contact links. Then click the ‘Tips and Reservation Info’ tab for the best method to book a room at that hotel. 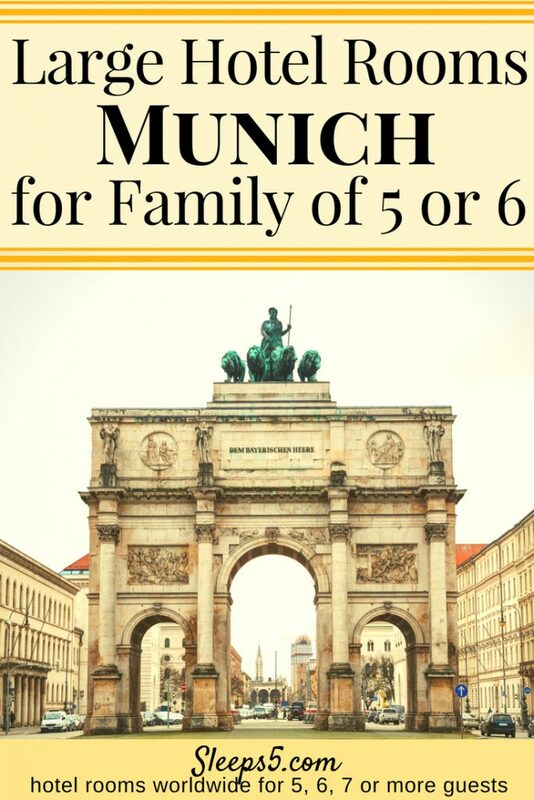 We hope this list gives you the best options for where to stay in Munich with family! If you know of any other Munich hotel that has a room for 5, 6, or more, please email us or comment below. We love to hear from visitors! See the Sleeps5 menu above for lists of family hotels for 5 or more in other European cities such as Berlin, Frankfurt, or Vienna hotels to sleep 5, 6, or 7.